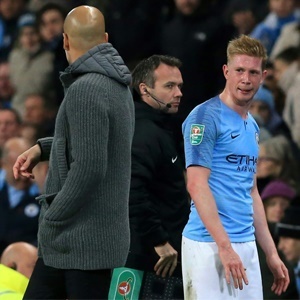 Manchester - Belgian star Kevin de Bruyne has acknowledged that being rejected by a foster family as a teenager fuelled his footballing success. The 27-year-old attacking midfielder, who on Wednesday will be pivotal as Manchester City aim to stay on track for a quadruple this season in overhauling Tottenham's 1-0 first leg lead in their Champions League quarter-final clash, has bounced back from two knee injuries this season to the kind of form he has regularly displayed since City paid £54 million to German side VfL Wolfsburg for him in 2015. Such was his success - he scored five goals for the second team after coming on as a substitute - the foster family sheepishly approached him again.